Glassybaby Launches Non-Profit, Will Illuminate 1-90. On Friday, May 1, your morning commute over I-90 may look surprisingly different. With the help of 1,500 ambassadors, Glassybaby will illuminate the I-90 (pedestrian) bridge from end to end with Light the Bridge, an outdoor celebration and art installation. The illumination (featuring Glassybaby's special edition White Light votive) will commemorate the launch of the organization's non-profit, the Glassybaby White Light Fund. One hundred percent of the registration ticket price ($44) will be donated to the top-23 non-profit organizations that can rally the largest teams of ambassadors at the event. The first place team of ambassadors will win $30,000 for its designated non-profit organization, $10,000 will go to the second place team's non-profit, $6,000 will be awarded to the third place team's organization, and each of the 20 runner-ups will receive $1,000 towards their non-profit organization. 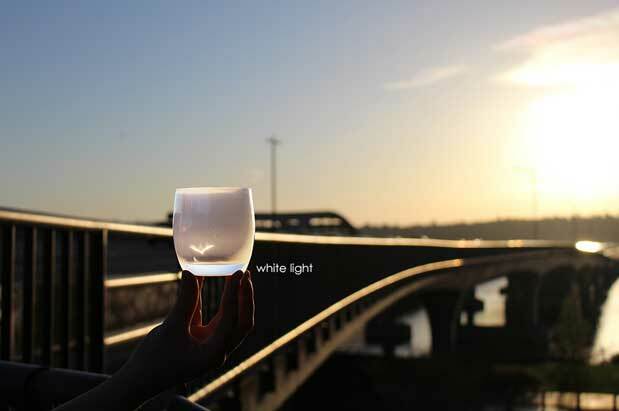 Those interested in participating in Light the Bridge can do so by registering online at lightthebridge.brownpapertickets.org or visiting lightthebridge.glassybaby.com. "The Granddaddy of Craft." To celebrate bringing craft beer to Seattle in 1981, Redhood Brewery unveiled a new, retro-style ESB design to pay homage to its brewing history in Seattle. In its original '80s-inspired design, the packaging appears on both 12 oz. bottles as well as the new 16 oz. can (introduced in conjunction with the new design). Keep an eye out for these Redhook throwback ESB's, available now at grocery stores throughout the region -- and sold exclusively in the Northwest. KCTS 9 Expands Local Content. KCTS 9 -- the public media institution that serves Western and Central Washington State and British Columbia -- announced a new initiative to expand local coverage from and about its Northwest communities. The new initiative will increase local content about the remarkable people, places, events and issues that make the Pacific Northwest region special. The organization will start its focus by creating hand-crafted, shorter-form stories, distributed across digital media as well as the current television channel. To learn more about the program, visit KCTS9.org. Seattle Childrens Expands Downtown. City of Seattle records show the Seattle Childrens Research Institute is planning to build a new 13-story facility called Building Cure, The Puget Sound Business Journal said. The new project will take up half a block at 1920 Terry Ave. downtown, and will feature 440,000 square feet of research space. According to the draft packet on the city's website, the Building Cure will be "a purpose-built institutional research building dedicated to transformative therapies with immediate impact on saving lives."